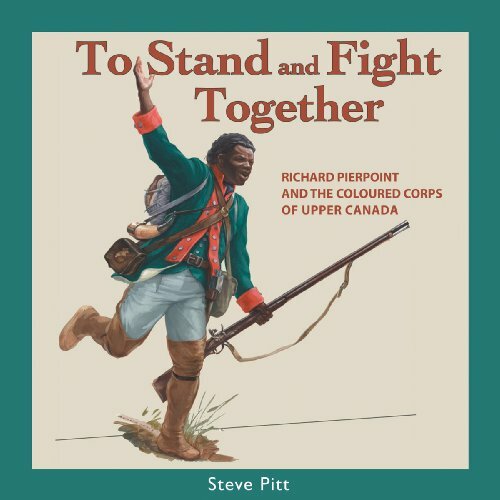 In 1812, a 67-year-old black United Empire Loyalist named Richard Pierpoint helped raise "a corps of Coloured Men to stand and fight together" against the Americans who were threatening to invade the tiny British colony of Upper Canada. Pierpoint's unique fighting unit would not only see service throughout the War of 1812, it would also be the first colonial military unit reactiviated to quash the Rebellion of 1837. It would go on to serve as a police force, keeping the peace among the competing Irish immigrant gangs during the construction of the Welland Canal. Pierpoint and the Coloured Corps are the central focus, but the sidebars featuring fascinating facts about the rise and fall of slavery in North America and the state of African-Canadians in early Canada provide an entertaining and informative supplement. Among other tidbits, readers will find out why "Good Queen Bess" launched the British slave industry and how Scottish pineapples are connected to the American Declaration of Independence. If you have any questions about this product by Brand: Dundurn, contact us by completing and submitting the form below. If you are looking for a specif part number, please include it with your message.